Gary Rome Hyundai Dealer Blog - A Gary Rome Hyundai Site (888) 637-4279: Can Hyundai Genesis Brand Take on BMW With its Large, Ultra-Posh G90 Sedan? Can Hyundai Genesis Brand Take on BMW With its Large, Ultra-Posh G90 Sedan? 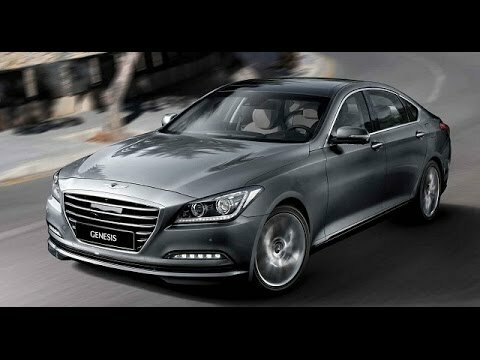 Hyundai recently announced plans to launch a luxury-oriented sub-brand called Genesis in the not-too-distant future. Making good on its promise in record time, the company has introduced the South Korean version of the G90, a large sedan positioned at the very top of Genesis’ lineup. Billed as a replacement for the aging Hyundai Equus, the G90, known as the EQ900 in its home country, is a monumentally important vehicle because it ushers in the Korean automaker’s “Athletic Elegance” design language, which will lend styling cues to every model in the Genesis lineup. The G90 wears an elegant-looking front end characterized by a large hexagonal grille with thin vertical slats, boomerang-shaped LED headlights, a long piece of chrome trim at the bottom of the bumper, and a prominently-placed winged Genesis emblem. In retrospect, the Vision G concept that Hyundai quietly introduced earlier this year was an accurate preview of the G90. Inside, Hyundai’s newest sedan puts a huge emphasis on luxury with a 22-way adjustable driver’s seat, a 12.3-inch high-resolution screen built into the dash, Genesis-specific leather upholstery provided by Italy’s Concerio Pasubio SPA, and real wood trim all around. Engineers spent countless hours fine-tuning the cabin in order to make it as quiet as possible, and they developed a doctor-approved Smart Posture Caring (SPC) System that detects how tall the driver is and automatically adjusts the seat, steering wheel, door mirror, and heads-up display. In South Korea, the G90 is offered with three engines: the familiar 3.8-liter V6 rated at 310 horsepower, a new 3.3-liter V6 tuned to deliver 365 hp, and a range-topping 5.0-liter V8 that generates a healthy 419 ponies. Hailed as Hyundai’s first-ever twin-turbocharged mill, the V6 sends the G90 from zero to 60 mph in 6.2 seconds, while the V8 allows the S-Class-sized sedan to perform the same task in 5.7 seconds. All engines are bolted to an eight-speed automatic transmission that spins the rear wheels, and all-wheel drive is available at an extra cost. Additionally, safety-minded buyers can select autonomous emergency braking with pedestrian detection, adaptive cruise control, and lane keeping assist. The G90 can also be equipped with Hyundai’s semi-autonomous Highway Driving Assistance technology, but it seems like that feature will only be available in South Korea. Although Genesis hasn’t revealed when the G90 will make its North American debut, we wouldn’t be surprised to see it in the metal for the first time in a little over a month at the Detroit Motor Show. Hyundai will take on well established companies like Mercedes-Benz, BMW, and Lexus by launching a total of six all-new Genesis-branded models before the end of the decade. Further details haven’t been made public yet, but a recent rumor claims the G90 will quickly be joined by a large SUV that will fight head-to-head against the BMW X5 and the Mercedes-Benz GLE-Class. Additionally, Australian website Motoring reports the lineup will include a 3-Series-fighting sedan called G70, a smaller crossover, a sports coupe, and an entry-level sedan ambitiously aimed at the BMW 3 Series.